Janka is the only living child of Irena Sendler. She lives in Warsaw and has been a joy to work with in the ‘Life in a Jar’ project. She shares great pride in her mother’s story and has had some very nice visits with those in the project. She has visited Israel and has seen her mother’s tree, planted in Irena’s honor by Yad Vashem. 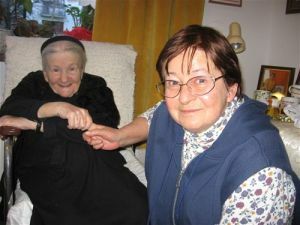 Janka helped host the Life in a Jar cast during the 2005 trip to Poland. She also provided the group with a wonderful afternoon in Warsaw.